Californians are getting old. Or at least, getting older. The number of state residents over 60 grew from 1.6 million in 1950 to 4.7 million in 2000. By 2020, nearly 20% of California’s population is expected to be 60 or older. By 2050, that number is expected to be 25%. The California Department of Aging (CDA) provides services for older adults, adults with disabilities, family caregivers and residents in long-term care facilities. It oversees implementation of the Older Californians Act, which was passed by the state Legislature in order to comply with federal legislation mandating the availability of certain community services to senior citizens. The department has an annual budget of more than $200 million and is part of the Health and Human Services Agency. CDA coordinates and directs the use of federal funds through local service providers and 33 Area Agencies on Aging to fulfill the requirements of federal legislation and the state’s Mello-Granlund Older Californians Act, and parts of the Medi-Cal plan. These programs include support services and meals, the Multipurpose Senior Services Program, the National Family Caregiver Support Program, Alzheimer’s Day Care Resource Centers, Respite, Adult Day Care, Adult Day Health Care, Brown Bag, Foster Grandparent and Senior Companion. California first explored the societal implications of aging in 1948, during Gov. Earl Warren’s administration, with an exploratory body called the Interdepartmental Coordinating Committee on Aging. The committee served in an advisory capacity and did not administer any programs or provide funding. Further action was taken after the first Governor's Conference on Aging in 1955, when a Citizens’ Advisory Committee on Aging was authorized by the state Legislature. The committee consisted of eight members, appointed by the governor and approved by the Senate; and two members of each legislative chamber, chosen by their respective houses. The committee was assigned four tasks: studying the problems of aging and recommending necessary action to the governor; giving local communities guidance and consultation in helping develop programs for senior citizens; acting as an information clearinghouse for issues concerning aging; and consulting and cooperating with the state’s departments and agencies in developing programs for the elderly. Following passage of the new law, the Citizens' Advisory Committee on Aging became California’s administrative agency for the federal grants. The name was changed to the California Commission on Aging and it became part of the Department of Human Resources Development within the Health and Welfare Agency. The commission was charged with advising the governor’s office, coordinating efforts and consulting with local governments and agencies, senior organizations, as well as business, industry, and labor. In 1973, the Burton Act established the Office on Aging as a department within the Health and Welfare Agency. The Commission on Aging continued in its capacity as an advisory body, while the new Office on Aging took operational responsibility for the state’s programs by dividing the state into thirty-three Planning and Service Areas to be administered by Area Agencies on Aging. In 1976 the Office on Aging became the California Department of Aging. The department’s duties were further defined and extended by the Older Californians Act of 1980, and the Area Agencies on Aging were designated as “principal advocates” at the local governmental level. The department contracts with the 33 local Area Agencies on Aging, which are run independently or as a part of county or city agencies, to deliver numerous mandated services as defined by federal and state legislation. The CDA administers and provides funding for programs that include home-delivered meals, the Multipurpose Senior Services Program (MSSP), a Health Insurance Assistance Program (HICAP), and certifies Adult Day Health Care (ADHC) centers for the Medi-Cal program. Additionally, the department includes an ombudsman’s office to investigate complaints involving long-term care. All spending for services is done through the 33 local Area Agencies on Aging (AAA). CDA contracts with this network to plan, develop, coordinate and administer services to older adults in one of the 33 designated Planning and Service Areas (PSA). The AAAs may provide services directly or by contract with an outside agency or company. The PSAs consist of one or more counties (and the city of Los Angeles) within the State. There are two Medi-Cal funded programs: the Multipurpose Senior Services Program (MSSP) and the Adult Day Health Care (ADHC) Program. The CDA administers MSSP and certifies ADHC centers for participation in the Medi-Cal Program, via an interagency agreement with the Department of Health Care Services. The Elderly Nutrition Program functions in two areas, the Congregate Nutrition Program, which provides meals outside the home at “congregate meal sites” to encourage social interaction, and The Home-Delivered Nutrition Program, which delivers meals to seniors who choose to remain home or are otherwise home-bound. CDA’s Health Promotion and Disease Prevention Program includes routine health screening, medication management, education, nutrition counseling, physical fitness, home injury prevention and emotional well-being care. The Senior Community Service Employment Program provides part-time job training and job referrals at local community service agencies. Participants must meet eligibility requirements, and may receive up to 20 hours per week of subsidized job training. After the completion of training the area agency attempts to place the trainee into unsubsidized employment, and failing that, may offer additional training. HICAP is a program that counsels seniors on health care insurance, the use of Medicare benefits, supplemental Medicare insurance and long-term care. A federal grant program (SHIP) is used to support the 24 local office’s education and individual counseling assistance. CDA’s Local Multipurpose Senior Service Program (MSSP) sites provide social and health care management for feeble elderly adults who are eligible for placement in a nursing facility but who decide to live independently. The program, which operates under a federal Medicaid Home and Community-Based, Long-Term Care Services Waiver, began in 1977. Participants must be 65 years old or older, and meet the criteria for placement in a nursing home. The program provides assistance in a number of areas: adult day care, housing assistance, chore and personal care assistance, protective supervision, care management, respite, transportation, meal services, social services and communications services. The California Department of Aging has certified a network of some 300 adult day care centers, licensed by the Department of Public Health, to participate in the Medi-Cal Program as Adult Day Health Care centers. The centers are designed to provide health, therapeutic and social services to those at risk of being placed in a nursing home. The day care centers are tasked with helping older Californians remain independent and postpone institutionalization in a long term care or other facility. ADHC centers may provide medical services; nursing and personal care services; physical, occupational and speech therapy; psychiatric and psychological services; social services; therapeutic activities; hot meal and nutritional counseling; and transportation to and from the center. CDA’s Long-Term Care Ombudsman Program investigates elder abuse complaints in long-term care facilities and in residential care facilities for the elderly. These facilities include nursing homes, residential care homes, and assisted living facilities. Residents or their family members may file a complaint directly with the local Long-Term Care Ombudsman or by calling the department’s 24-hour a day CRISISline. The ombudsman has 35 local program coordinators throughout the state. California is required under federal law to develop a State Plan on Aging in order to receive federal funding. The plan developed by the CDA meets the requirements by defining state goals and objectives in implementing the OAO, and details information about local Area Agencies on Aging, provides demographics on the aging population, the state’s priorities and provider’s performance measurements. The CDA dispenses federal and state funds in myriad programs under a variety of topics. The bulk of the money spent, 84% of the budget, is from grants from the federal government, and targeted to specific areas per the grant guidelines. Money is allocated in five main areas: nutrition, senior employment, support service centers, Medi-Cal and administration. The largest share of CDA’s expenditures is in the area of nutrition, $80.7 million in fiscal 2011-12. The Meals on Wheels program is a well-known example of this program, though Meals on Wheels is an independent organization which predates the CDA, and is not directly affiliated with the department. In San Francisco, for example, the city’s Department of Aging & Adult Services, which is partially funded by CDA, provides 43% of Meals on Wheels San Francisco’s budget. Support service centers claim around $68 million of the budget for senior centers, elder abuse prevention, in-home services, information, and legal and transportation services. In an effort to stem the tide of red ink that threatens to engulf the state, Gov. Jerry Brown has proposed halting Medi-Cal payments to adult day health care programs, which are administered by the CDA. Facing a $24.5 billion deficit, Gov. Brown sought to eliminate the use of Medi-Cal funds at the more than 300 adult day health care programs that are certified by the California Department of Aging. Gov. Brown proposed a 10% cut in payments to doctors and other providers of services to Medi-Cal patients. Previous attempts by other states, and in 2008 by Gov. Schwarzenegger, have resulted in lawsuits by opponents that made their way to the U.S. Supreme Court. The court previously blocked about $1 billion in Medi-Cal cutbacks adopted by the Legislature in 2008. Brown’s proposal has resulted in several suits being filed. Opponents argue that the cuts would in fact result in an increase of costs for the state, and not a reduction. Dawn Myers Purkey, manager of Woodland Healthcares Adult Day Health Center in Woodland, points to a May 2010 report by The Lewin Group, which says that the elimination of adult day health care would cost the state $51 million more than it saves because of cost-shifting to other more expensive settings. Additionally, she says that the state would forfeit $177 million annually in federal matching funds. “It's incredibly important. The fact that they are taking this up indicates that they understand how important this issue is to the state.” Brown’s plan would lower the amounts the state pays healthcare providers by 10%, which would reduce the program’s costs by $719 million. In March 2011, Democratic State Sen. Lois Wolk introduced legislation to make the Department of Aging’s long-term care ombudsman an independent office. The senator’s proposal echoed a long-running argument about the effectiveness of the long-term care ombudsman. Recently, however, numerous groups have leveled complaints at the office, and called for its restructuring. The Committee for an Independent State Office made the case for separating the office from CDA in a 2010 letter to Assembly Member Mariko Yamada, Chair of the Assembly Committee on Aging and Long-Term Care. Yamada had convened a committee hearing as part of the oversight process. “Does the state structure promote safety (and) well-being of 300,000 residents of (elder care facilities)? No,” said Linda Robinson, who coordinates the ombudsman program in Santa Cruz County, during the committee’s hearing. She said the state office has prevented local senior advocates from speaking to the media and about legislation that would benefit elder citizens. The Department of Aging has long faced questions about its effectiveness from both critics and supporters of its mission. The independent Legislative Analyst’s Office (LAO) went so far as to recommend the elimination of the department in 2003-2004 and its consolidation within the state’s Department of Social Services. The proposal launched a firestorm of debate. Many see the potential for re-energized leadership in a single department that could set and pursue broad goals of obtaining federal waivers, integrating services and maximizing flexibility. A single department, they argue, could have clear policy objectives that combine the best elements of existing operations, including the social model of programs under the Department of Social Services. A single department could ensure that the policy focus is on the consumer's needs rather than on bureaucratic convenience. The LAO’s argument is not that the services provided by the department are unnecessary, but that CDA’s functions are much like those of the Department of Social Services, with many overlapping areas. Merging CDA into the DSS would also save taxpayers money, by achieving economies of scale. “DSS achieves economies of scale and needs proportionately fewer staff for executive and administrative activities than does CDA. Specifically, for every one program staff at DSS there are .22 administrative (nonprogrammer) staff. Conversely, at CDA, for every one program staff, there are .72 nonprogram staff. Combining these departments would build on the economies of scale at DSS.” The LAO also noted that most states locate its aging programs inside a larger agency. Much of the LAO’s sentiments were echoed by the California Performance Review of 2004 and the Little Hoover Commission in 2009. When the Little Hoover Commission was reviewing the structure of government in 2009, it noted that not everyone agreed that consolidation of the various entities dealing with aging was a good thing. Dozens of residential care facilities wrote the commission objecting to a move that would place them in a grouping with license skilled nursing facilities. Many feared that the elaborate licensing requirements and exhaustive inspection processes would overwhelm residential care facilities. Still others argued that neither prospective nor procedures would change. The problems within the Department of Aging, some argued, were not intrinsic to the state but were the result of constraints placed on it by the federal government. Changing how the state operates will not give programs new flexibility or unleash tightly controlled funds, they said. 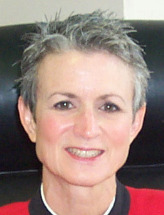 After two lengthy stints as acting director, Lora Connolly was formally appointed to the director’s job in April 2012. Connolly, a Democrat from Elk Grove, worked as a consultant on aging and long-term care issues at the state Assembly’s Office of Research before coming to the Department of Health Care Services in 1993. She held multiple positions there, including communications coordinator, until 1997. She was the department’s chief of the Office of Long Term Care from 1997-2000 before joining the department’s parent, the Health and Human Services Agency, as assistant secretary of aging and long term care from 2000-2002. Connolly moved to the Department of Aging in 2002 and was chief deputy director from then until her appointment by Governor Jerry Brown as director, with extended stints as acting director from 2004-2007 and 2011-2012. Former Assemblywoman Lynn Daucher was Department of Aging director from 2007, when she was appointed by Gov. Arnold Schwarzenegger, to 2011. Daucher holds a bachelor's degree in education with a minor in mathematics from the University of Rochester in Rochester, New York. A Republican, Daucher was first elected to the school board for Brea Olinda Unified School District in 1980. In 1994, Daucher was elected to the Brea City Council, a position she held until her election to the Assembly. She also served as mayor for one year. Daucher was elected to the Assembly in 2000, held office until 2006, and was chairwoman of the Assembly's Committee on Aging and Long Term Care. In 2006, Daucher ran for the California State Senate seat being vacated by Joseph Dunn, but lost to Orange County Supervisor and former Assemblyman Lou Correa by a narrow margin.